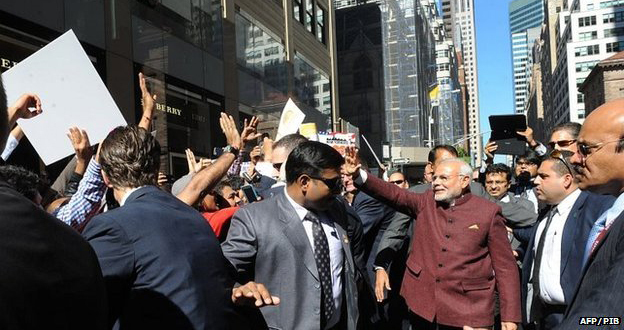 Indian tech firms are expected to their digital revolution a notch higher and this can be affirmed by the Prime Minister’s visit to the United States technological hub, the Silicon Valley. In an event endowed with big names in attendance; software giants, hardware manufacturers as well as social media companies; the result of it is that we can now expect our Indian firms to globally compete with other companies and leave a remarkable digital mark worldwide. The Silicon Valley tour has led to creation of a tech project dubbed the Digital India whose main initiative is to empower as well as create more opportunity for which India’s population can benefit from the massive digital outreach which the project would deliver. Among some of the notable persons who were present in the event were India’s own Sudar Pichai and Satya Nadella who are current serving as head of corporations for Google and Microsoft respectively. Under the Digital India project plan, there are lots of benefits to be accrued thanks to the promises that have been made by some of the corporations and companies that were in attendance. For instance Microsoft will be spear heading a project which would see most India’s population having an access to a faster broadband internet connection which would come at affordable pricing. To add more to the initiative, Google will as be actively involved in ensuring that as much as over 5oo railway stations across India will be having high speed internet connection in a move which is aimed at improving business as well as government operations through e-commerce. To fund the rapidly emerging tech start-ups within India; the Prime Minister’s delegation also secured a $150 million funding from Qualcomm, a business move which see lots of India’s emerging companies benefit greatly. As part of his visits, the Prime Minister Modi got meet some of the world’s renowned tech leaders like the Facebook’s founder Mark Zuckerberg, Apple’s CEO Tim Cook, Google founders Larry Page and Eric Schmidt and lots of other tech personalities. With this move, India’s technological revolution is expected to be at par with other leaders within a few years.